It is a privilege to own a listed building of both architectural and historical significance, and this brings certain complications when there is structurally an issue or you wish to upgrade, but that doesn’t mean your sash windows need to be a problem or stressful, in most cases you can improve them and the work will be welcomed by the council panning! There are plenty of options available to a listed property owner and we would be glad to help you through the options. In this article we will go through some useful possibilities. If you’ve ever required sash window repair then as you’ll already know there are complications and constraints as to how much can be done or if replacement is possible. It’s not all doom and gloom however, many sash window services and upgrades are acceptable, these will depend on your local planning office. In some cases you may not even need planning consent for sash window repairs, however it’s really easy to call them up and find out, making sure you’re covered will save a great deal of stress later on and you’ll get to know who will be helping you workout the best way to handle your sash windows going forward. It helps to build up a good relationship with the office, you never know when you might want to lean on them for help or advice. Once you’ve called and aware who will handle your sash window proposals, be it listed building sash window repair, draught proofing, or double glazing, you will be made aware of what consents are required respectively. If you go to the lengths of making these initial queries, it is almost certainly going to save you from a failed application, or worse yet, going to court to carry out the work you would like. If you know that there will be flat out refusal to double glazing the existing sashes for example, your unlikely to pursue the case. This will be costly, and time consuming, not to mention the additional stress. I might point out these refusals are becoming less common as a result of the improved technologies available which are making double glazed units less visible than ever. Sometimes it’s difficult to know if a window has been double glazed, if the installation is of high quality. 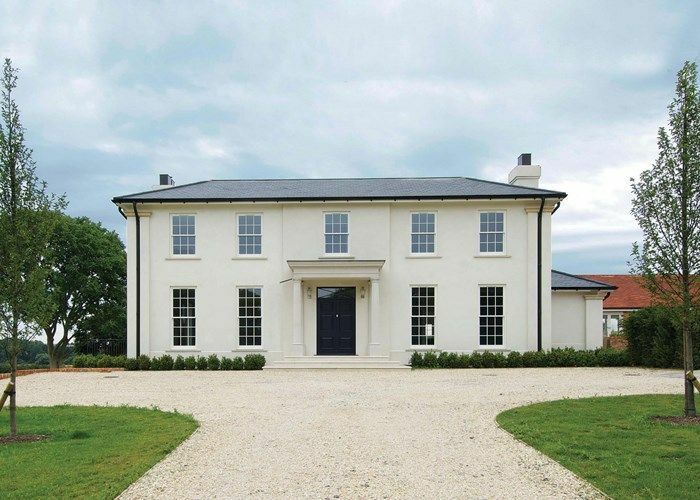 That all comes down to finding the right sash window company. The typical process(and best way of building a good relationship) requires contact of the planning, however please do not let this concern you. The planning department will be pleased that you wish to repair your sash windows and will not make the process difficult for you as you’re trying to keep the sash windows in original condition. If you are looking to replace or double glaze your sash windows, I highly advise contacting us first so that we can help you through the process. There’s plenty of land mines that can be easily avoided. Talking of planning, we always advise contact with your local planning officer first, however it is very likely that as well as sash window repairs you’ll be entitled to a sash window draught proofing system installed. 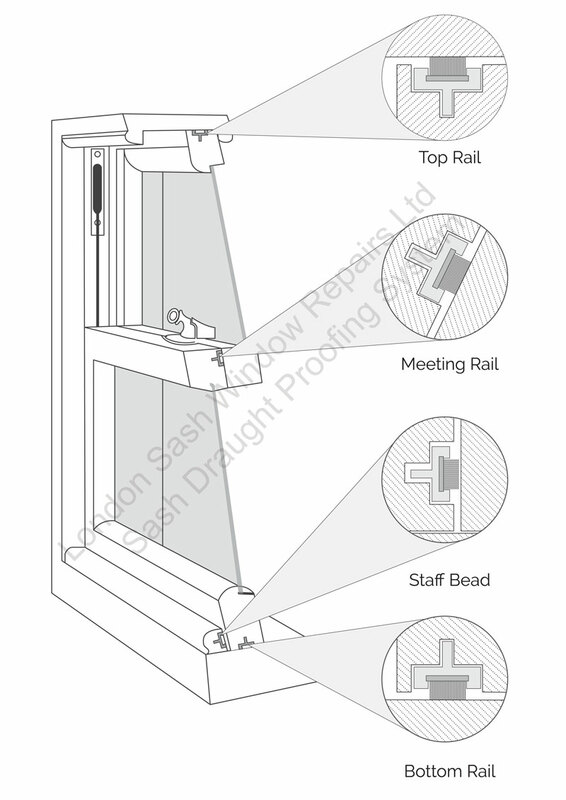 A sash window draught proofing system that is rebated and hidden within the sash is now common practice and well known to planning, which is handy because it’s unlikely they’ll get fussy, asking for diagrams and what not, but if they do, well we have you covered anyway as you can see in the image below. The difference a draught proofing system makes to your home is very noticeable. It’s really worth draught proofing where you can first, there’s possibility the upgrade is deemed sufficient and will save thousands on double glazing. 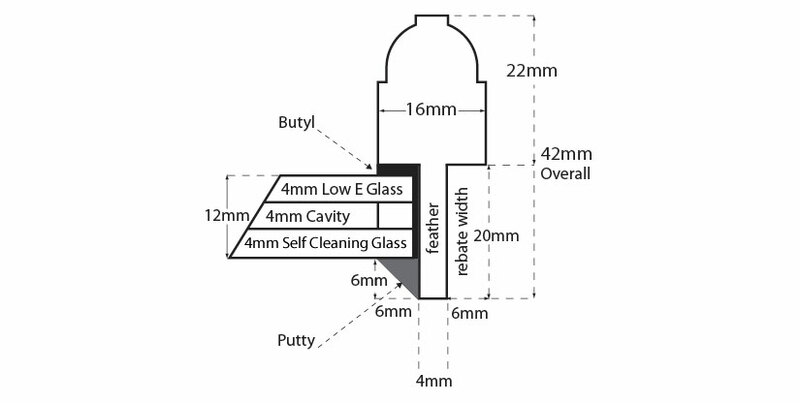 The sash window draught proofing system will help to solve a number of issues such as rattling and help to stop dust coming into your home. Sash window repair is a required process, planning will not try to make this difficult for you. They will however, require a little more detail than the average home, but then this in my opinion, is a small price to pay for having an above average home. We have all diagrams and literature ready for them which will considerably speed your application. Given we favour sash window restoration and refurbishment, we very rarely find issue with councils as there’s plenty of reference we will draw to in relation to other companies offering only replacement solutions, where we have found economic repair methods, we know what makes a great sash window service to our clients, and we try as best we can to make good on that. As you can see the rebate is extremely tight but it can be done because of the new slimline glazing technology. This type of unit is a little more expensive than a typical quality double glazed unit however it’s certainly worth the extra when there is no other double glazing option. This is one of your best options for sash window sound proofing in a listed building. Sometimes replacement is possible, but planning are going to be as awkward as possible if there’s more sympathetic options to consider. The installation is pretty straight forward. On acceptance of quote a second site inspection will be organised and the new glazing will be measured, and we will help you approach the council to get approval as fast as possible. When they ask for detailed pictures and specs, we will normally turn the documents for your specific installation in a couple of days. Since we know what they’re looking for, approval comes pretty quickly. Original glass is carefully removed and then old putty cut away and cleaned up. Once the rebate is prepared Butyl putty will be worked read for bedding in the double glazed unit into the original sash. Once the unit is installed, much in the same way a single glazed pane of glass is, the face putty will be installed. Normally, we would prefer to use a glazing bead as it is more secure and produces a better finish, however it’s unlikely to be accepted by planning.Despite being a slight improvement, listed building planning will not allow for a change of materials used which is pretty understandable. Normally draught proofing will be installed at the same time as the double glazing option. To have both double glazing and the draught proofing installed into the original sashes will cost in the region of £800-£900 per window. Decoration is an additional cost and we will probably have to let planning know what paint we intend to use. Normally we will supply Dulux Weathershield. In some cases replacement is an option, if the windows fall into a state of disrepair. This will lead to complications as the council will require extremely detailed drawings of the replacements which will need to match like for like, in style and material. Repair is a much simpler option and we will go to significant lengths to make good (using the same materials). To date we have performed the most complex sash window repairs known online which can be seen on our sash window repair page for listed properties. There is going to be much simpler process if the windows are not replaced and of course the costs will be significantly lower, as well as being supported by the local planning.